For most of us, hopping in the car, or even grabbing the bus or calling a friend for a ride, to run a few errands or get to an appointment is relatively easy. We do it without putting a whole lot of thought into it. However, that’s not the case for many of our residential program residents. It is challenging to bring several people with varying ranges of ability level out to shop, go to visit family, or have dinner out in the community. Our staff are wonderfully helpful in doing this, but we need to provide them with the right tools. Our newly renovated home on Woodcock Road in Williamstown became a reality because of YOU, our donor. Generous support during last year’s annual campaign by donors like you helped to raise the roof on Woodcock Road – making life much more accommodating and enjoyable for four men with disabilities. This year, we hope that you’ll continue to make more dreams become reality as we look to purchase a passenger van for that residence. YOUR donation will help us do that. As you know, our mission is to enrich the lives of the people that we serve by providing positive life experiences. We know that you’ll agree that providing accessible transportation certainly fits that bill. We can’t do it alone and we value you as a partner. Thank you for being a champion and assisting us in fulfilling our mission. To enrich the lives of people of all ages and abilities by providing positive life experiences through distinctive, individualized, quality services. Help to support our mission. 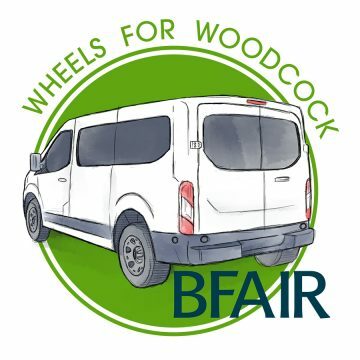 Your tax-deductible donation helps BFAIR to provide enriching programs, durable equipment that isn’t covered by insurance providers, outings, and more!